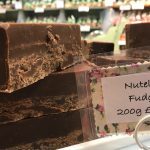 Located in the heart of The New Forest in Hampshire, at Burley Fudge we are fudge experts that pride ourselves on producing delicious, handmade confectionery of the highest quality. We have a wide range of flavours, from our much loved original clotted cream to our spicy chilli chocolate, you’re sure to find something for everyone. We also have alternative sugar and vegan options for those who might find it difficult to find a sweet treat elsewhere. 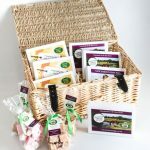 Burley Fudge can also provide corporate gifts and even wedding favour fudge for a taste of the New Forest that your wedding guests will love. Buy gift boxes for birthdays and Christmases, or for an extra special treat for yourself or someone you love, you can subscribe to our Fudge of the Month Club, where you’ll receive a delicious box of fudge in the post each month. So what are you waiting for? 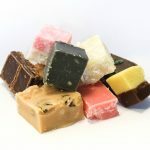 Visit our online fudge shop now!